Product description: The Tall Slab on Ground (SOG) Bar Chairs have been designed as an economical, lightweight and easy to use alternative to metal bar chairs. The easy clip on system ensures the chair stays in place, especially when walking on or moving the reinforcing framework. 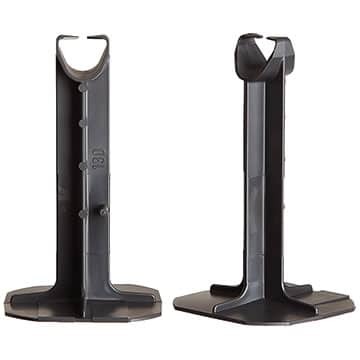 Plastic material means no rust issues and the flat base eliminates the need for separate bases. The SOG Chairs have been load tested to exceed 500kg and are available in 100-150mm cover for bar or mesh up to 20mm.